VINHO VERDE is the biggest DOC of Portugal, up in the cool, rainy, verdant north west. Vibrant freshness, lightness and aromatic and flavorful expressions, are the characteristics that define and differentiate Vinho Verde that has steadily become more & more popular in the United States market. Affordable, over-delivering, fresh, versatile in pairing, vibrant, thirst-quenching and mineral...this wine is as unique as it is mandatory in any complete cellar or wine program. MonverdeHotalSPA.JPG Learn all there is to know about Vinho Verde! The seminar & tasting will give you an insight on the natural conditions of the region, covering the several micro-climates, terroir, winemaking practices and unique indigenous grape varieties utilized as well as the typical and various examples of this splendidly jovial white wine. A guided tasting of a great selection of the best examples will be executed. Find out the truth behind Portugal's fastest growing export ! 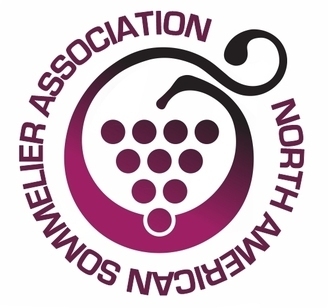 The North American Sommelier Association (NASA) was founded in 2010 as a not-for-profit educational association. NASA is a key member of the Worldwide Sommelier Association (WSA), and as such all of our certifications are recognized worldwide. Courses include the Silver Pin Certified Sommelier, Italian Wine Specialist, American Wine Specialist.